What are the Gas Fire Burner San Diego Homeowner Choices? Gas Fire Burner San Diego Homeowner choices run from single, double or triple ring burners, to rectangular & oval burners to quick and easy fire pit table drop in pan burners. Compared to what you’ve been seeing in your friends fireplaces or fire pits, does your fire feature seem a bit behind the times? Those old gas fire logs are a bit “1990” aren’t they? Transform your outdated fireplace or fire pit table into an absolute wonder using our fire glass with one of our rectangular or oval fireplace burner pans. Changing out your fireplace is an easy task. The oval gas burner pan style is a fantastic option to use with any of our fireplace glass and fire pit glass rocks or fire beads. Our rectangle burner pans can be used in outdoor fire pits or fireplaces and indoor fully vented fireplaces only with our fire pit or fireplace glass. The rectangular fire pit burner pans are made of heavy duty black or stainless steel. PAN BURNERS are the hottest replacement for old gas logs. The stainless steel insert is a simple and instant way to change any fully vented fireplace into a modern work of art. This will give you a truly unique look that is sure to be the center of attention in any room. 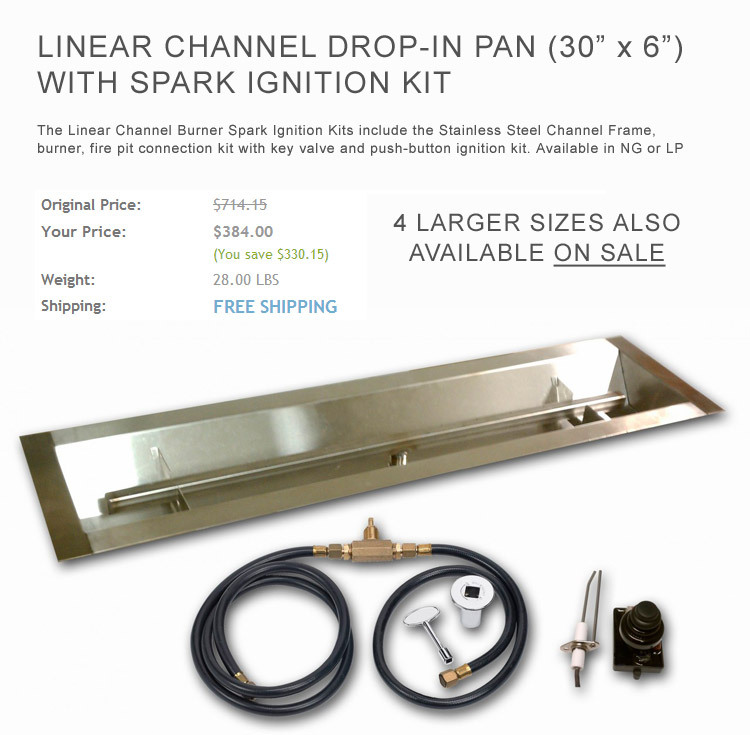 The Pan Burner is a popular choice also because you only need twenty pounds of glass along with the burner to complete the installation. 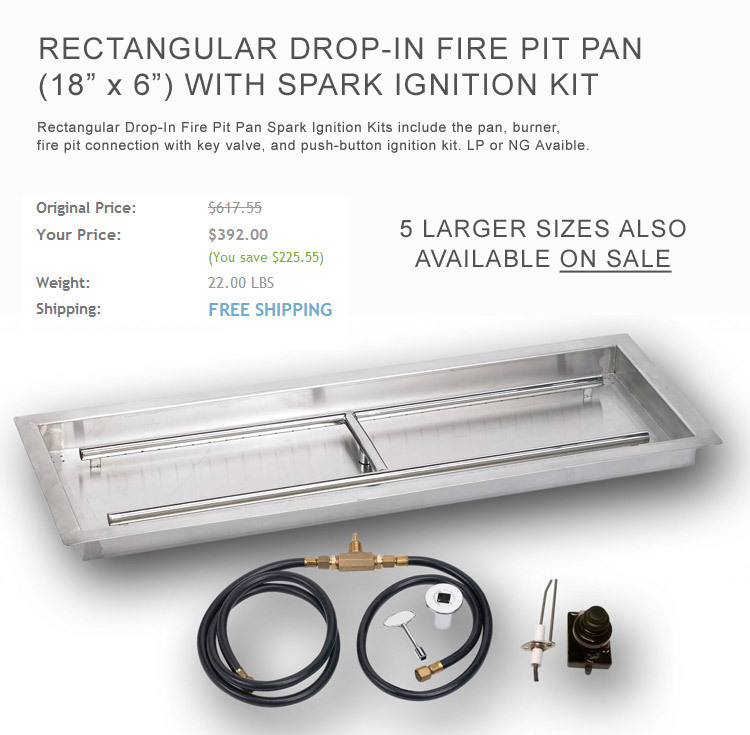 Many of our Drop-In Fire Pit Pan Spark Ignition Kits include the pan, burner, fire pit connection with key valve, and push-button ignition kit. LP or NG Available.